​With close to 50 related bills in the current legislative session, drug policy continues to be an important area for criminal justice reform in Massachusetts. While the bills vary in scope from civil asset forfeiture to methadone treatment, many of the reform bills share a common theme: reducing the harms associated with illegal drug use and our current drug laws. The state’s fiscal crisis gives even more incentive for legislators to seriously consider meaningful changes to our drug control laws. A recent report by the Massachusetts Taxpayer Foundation found that the state is spending more on prisons ($830 million) than on public higher education ($816 million), understandably prompting a public outcry over our budgetary priorities. Each year, there are over 2,100 arrests in Massachusetts for marijuana possession, costing taxpayers over $24 million in law enforcement resources. Time spent on arresting marijuana users detract police from deterring or investigating violent crime and use limited criminal justice resources in processing court paperwork, testing urine samples in the state crime lab, and other activities. Marijuana prohibition also fuels the crime, violence, and profits associated with any black market commodity. House Bill 2392 and Senate Bill 207 would decriminalize up to one ounce of marijuana, subjecting offenders to a civil infraction of a $100 fine rather than a criminal conviction (i.e. like a speeding ticket). Public hearings were held in April, and the bills remain in the Criminal Justice Committee. Please contact Senator McGee and urge him to move the bill out of committee. H.2392 is sponsored by Rep. Patricia Jehlen (D-Somerville), and S.207 is sponsored by Sen. Charles Shannon (D-Second Middlesex), Sen. Cynthia Creem (D-First Middlesex and Norfolk), Sen. Joan Menard (D-First Bristol and Plymouth), Sen. Steve Tolman (Second Suffolk and Middlesex), and Sen. Stanley Rosenberg (D-Hampshire and Franklin). Over 90 published reports and studies have demonstrated that marijuana has medical efficacy, and dozens of respected institutions including the American Academy of Family Physicians, the American Bar Association, the American Public Health Association, and the National Association of Attorney Generals have endorsed medical marijuana. In the 1990s, the state legislature under Governor Weld passed two medical marijuana laws. However, these laws have not been effective in protecting patients from arrest and prosecution. Many of these patients suffer from cancer, HIV/AIDS, multiple sclerosis, chronic pain, epilepsy, wasting syndrome, glaucoma, and other illnesses. House Bill 2965 and Senate Bill 676 would create legal protection under state law for seriously ill patients who use marijuana under their doctor’s recommendation. Public hearings were held in March, but unfortunately, these bills were “put out to study” in September. Please contact the Health Care committee and ask them to reconsider these bills. H.2965 is sponsored by Rep. Frank Smizik (D-Brookline), and S.676 is sponsored by Sen. Charles Shannon (D-Second Middlesex). The overall cost of the criminal justice system to taxpayers by investing in cost-effective treatment programs rather than on probation and corrections. In 1981, the “Drug Dependent Persons Act” granted trial court judges in Massachusetts the authority to divert low-level drug offenders to treatment programs. Unfortunately, that law has lapsed into disuse throughout the Commonwealth. In 2000, voters narrowly defeated Question 8, a statewide ballot initiative that would have revived the 1981 diversion law. House Bill 2999 and Senate Bill 1139 would give judges the option of diverting first and second time nonviolent drug offenders from prison into treatment. A public hearing was held on the House bill in April and on the Senate bill in October, and an executive session will likely be scheduled for early February. Please contact Sen. Creedon and Rep. O’Flaherty, Chairs of the Judiciary Committee, and urge them to move the bill out of committee in February. H.2999 is sponsored by Rep. Frank Smizik (D-Brookline), Rep. Benjamin Swan (D-Springfield), Rep. Patricia Jehlen (D-Somerville), and Rep. Ellen Story (D-Amherst and Granby). S.1139 is sponsored by Sen. Dianne Wilkerson (D-Second Suffolk) and Sen. Cythnia Creem (D-First Middlesex and Norfolk). Twenty years ago, state and federal lawmakers began passing laws that gave people harsh mandatory prison sentences to people convicted of drug offenses. As a result, judges must impose long, pre-determined sentences to drug offenders regardless of the facts in each case. 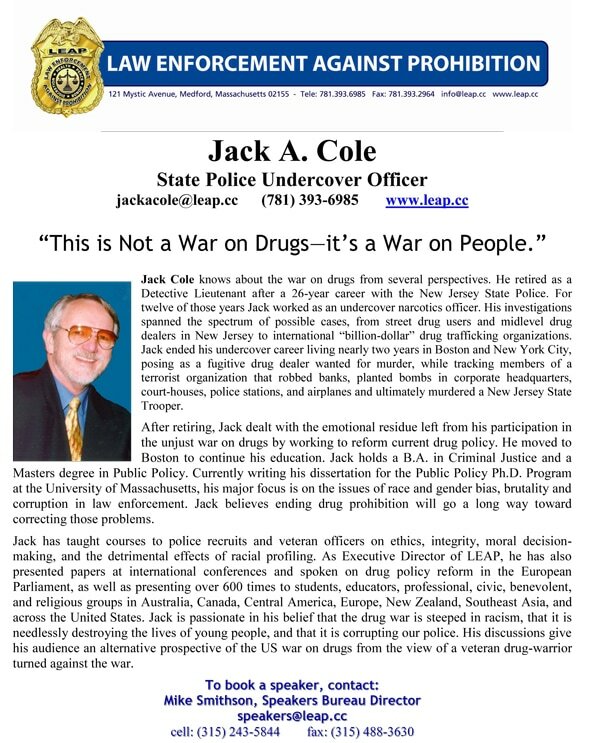 Lawmakers believed that harsh mandatory drug sentences would lock up drug kingpins and deter others from getting involved in the drug trade. But the theory has backfired -- instead of drug kingpins, low-level couriers and addicts, some with no prior criminal record, are being sentenced to harsh prison terms. As of May 2003, there are over 2,000 inmates serving mandatory minimum sentences for drug offenses in state and county correctional facilities. More than 80 percent of these inmates are people of color. Senate Bill 167 would make mandatory drug offenders eligible for parole after serving 2/3 of their sentence. The Sentencing Commission estimates that a third of the prisoners serving mandatory sentences would be eligible for parole if the bill passes. Of those, half will likely receive parole, thereby saving the state $12-15 million in the first year alone. While momentum is growing to follow the lead of states like Michigan which recently overhauled its mandatory minimum sentencing structure and saved $41 million, the debate may be stymied by the lack of progress on sentencing guidelines reform. Please contact the Criminal Justice Committee and urge them to pass S.167. S.167 is sponsored by Sen. Cynthia Creem (D-First Middlesex and Norfolk). Massachusetts Bar Association Drug Policy Task Force report: THE FAILURE OF THE WAR ON DRUGS: CHARTING A NEW COURSE FOR THE COMMONWEALTH.